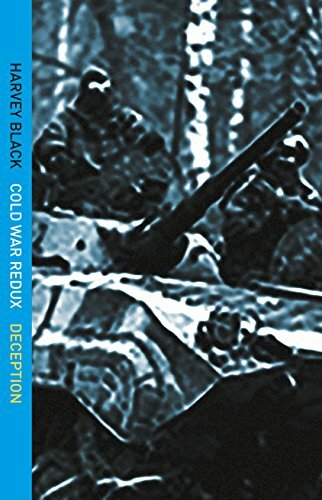 Deception (Cold War – Redux – 2) now available. I have recently written the first of two novels in my latest Apocalyptic series, ‘Force Majeure – Purgatory’ and ‘Force Majeure – Paralysis’. The third in the series will be out later this year. 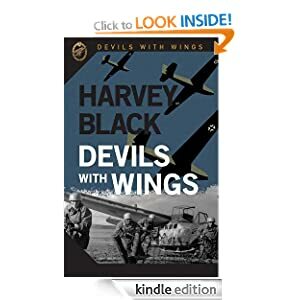 Prior to these two books, I wrote a Cold War trilogy, The Red Effect, The Black Effect and The Blue Effect, portraying what I believe could have happened in the 1980’s, had the Soviets, and the Warsaw Pact, taken the decision to attack West Germany and plunged the world into a third world war. I now ask myself the question, are we heading down that very route now? To answer that, I have just finished writing the second book in a new Cold War trilogy, or the ‘Cool War’ as it is sometimes referred to. Deception (Cold War Redux – 2) is now available for pre-order. Deception (Cold War Redux – 2), out now for pre-order. Zaporizhia, a mere 50 kilometres from a Nuclear Power Station. Zaporizhia Nuclear Power Station with 6 Nuclear Reactors (Google Maps). Top right, the concrete cylinders storing nuclear waste. My journey to Mariupol would skirt the occupied area of Donetsk, hence the heightened security. Security on the route to Mariupol was exceptionally tight, my English passport always raising eyebrows and requiring considerable explanation from my escorts. This trip though, I was actually going to meet one of their colonels, a commanding officer a Border Guard Regiment. Mariupol is a large industrial port city on the shores of The Sea of Azov, a population of nearly half a million. The ethnic population is equally split between Russian and Ukrainian. This is the landing zone used by Spetsnaz Force -1. The coast to the south. This is the landing zone used by Spetsnaz Force -1. This is the home of the Mariupol detachment of the Security Service of Ukraine. The Sluzhba Bezpeky Ukrayiny, SBU. The building was raided in February 2014, and numerous documents, hard drives and other data were stolen or destroyed. The raid was allegedly ordered by President Viktor Yanukovych. The 79th Parachute Brigade are legendary. They fought extensively in the Battle in Shakhtarsk Raion where they secured the Russian border and the strategic Savur-Mohyla hill. In September 2014, the 79th joined the 3rd Separate Spetsnaz unit and National Guard Units in the defence of Donetsk Airport. Due to their stubborn resistance, they were referred to as ‘Cyborgs’. As they are one of the Quick Reaction Forces, QRF, in the region, they are at a permanent state of readiness. While sat inside, i quickly discovered that the object my foot was resting on was and anti-tank mine. Apart from the standard turret mounted 14.5mm KVPT machine gun, the vehicle I was in carried an AGS-17 grenade launcher. They also had at least half a dozen light anti tank weapons. All vehicles were stocked up with large stocks of water, food and ammunition, so would be able to sustain operations for a number of days in order to prevent a Russian intrusion into the Mariupol Zone. This is one very professional unit and is more than capable of giving any enemy a bloody nose. Trench lines east of Mariupol and west of Shyrokyne (Google Maps). Don’t forget, Duplicity (Cold War Redux – 2), is now available. The Cold War – Redux (Duplicity). Ukraine Part 7. 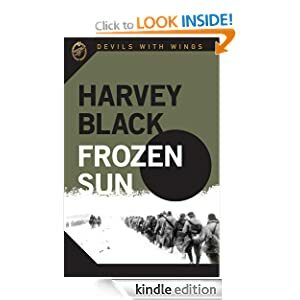 I recently wrote a Cold War trilogy, The Red Effect, The Black Effect and The Blue Effect, portraying what I believe could have happened in the 1980’s, had the Soviets, and the Warsaw Pact, taken the decision to attack West Germany and plunged the world into a third world war. I now ask myself the question, are we heading down that very route now? 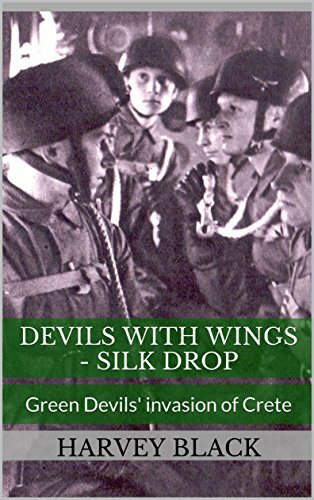 To answer that, I have written the first book in a new Cold War trilogy, or the ‘Cool War’ as it is sometimes referred to. The first book, ‘The Cold War – Redux (Duplicity)’, is out now, and the second, The Cold War – Redux (Deception), will be out for Christmas. Where does my story start? I felt the only way to find the answer to that was to go to the very melting pot that could turn the Cool War, into a Hot War, the Ukraine. I have made three trips so far, and a number of my Posts will relate my experiences while there. Cold War Redux (Deception), Is due out Christmas 2016. Back to Kiev again. It is a city I could never tire of visiting, despite the cold weather. The temperature during my visit varied between about 2 degrees to -20 degrees. Shirt, two fleeces and skiing jacket were called for. It was just a short stay in Kiev at the beginning as my true purpose of visiting Ukraine was to travel to the port city of Mariupol. So, a 7 hour journey by train first. As you can see, the weather followed me to Zaporizhia. Then by road. Jarick came with me and we were giving a lift by some soldiers from one of the units in Mariupol. My passport, as usual, created some discussion. But being with Jarick and two Ukrainian soldiers ensured there were no problems as we passed through four checkpoints on our four hour journey. A British Army ‘woolly-pooley’ as a gift was well received. Back in Mariupol again. I always look forward to a visit to this part of Ukraine. But, the true purpose of my visit was to complete more research for my Cold War-Redux trilogy. Above is my trusty steed for my visit to yet another Ukrainian Army unit. But, before we go anywhere, Jarick’s mum insists that I need feeding. Borsch, is great, but is incredibly filling! But, I still had to eat more. Jarick’s mother is unwell at the moment and I wish her well. Now off to the front. Note the hi-spec dashboard. The officer taking us is a Major in 36th Brigade. As ever, my good friend Jarick, wearing his extra thick jacket, accompanied me. We then had to pass through the Red-Zone. Civilians are banned from this area. The road to the front line, mined and well defended. We eventually, after a very smooth ride……., arrive at our destination. I can only show a few of the photographs I took, for obvious reasons. A cold and bleak landscape. 36th Brigade is part of the Mariupol Divison. 36th Brigade, along with the 79th Airborne Brigade, and others, are responsible for the defence of Mariupol. The unit flag. The pro-Russian separatist lines were less than a 1,000 metres from here. The major, on the left, was the one who drove us here. My good friend Igor on the far right. I took some items they would find useful, tooth brushes, toothpaste, razors, coffee, biscuits, etc. This was just a sample of what we brought for them. I then descended into one of the bunkers, where they live when off stag. Behind the curtain, wooden steps lead to the surface. The bunkers were deep, the roof supported with logs covered in a thick layer of earth. Now it was warm. The log-burner spewed out some delightful heat. Even the unit cat was happy. They welcomed me with open arms and provided refreshments. This was effectively their home and I felt very privileged to be allowed to intrude. As you can see, very patriotic. The soldier on the right is a Lieutenant, with Igor on the right. A great photo with their unit flag. This was designed to sleep four officers while off stag, the rest would be hunkered down on the defence line. Small, but home from home. A generator providing them with some amenities. And in your spare time, you could always make a bracelet out of grenade clips. But now time to go. I had to head back to Kiev in a couple of days. The road journey to Zaporizhia was quite treacherous, and it was questionable that we would make it to the railway station on time. But we did. Jarick’s lovely wife cooked us a great meal. The photos don’t do it justice. Although a country at war, life still goes on in the capital city of Ukraine. I was fortunate to be there, early January, when celebrations for the new year were still in progress. While in Kiev, I met up with some friends from the Parachute Brigade and brought them some military fleeces and Britsh Army ‘woolly-pooleys’. Also a high-spec scanner, enabling them to monitor the pro-Russian separatists airwaves. The jumpers, and the trauma bandages, were well received. The headless Wolf presented me with a ‘Cyborg’ badge, along with a special forces blue-striped t-shirt and airborne beret. The beret had been worn by one of the survivors of the battles for the Donetsk airport. Very few survivors came away from the battle, and those that did were subsequently know as Cyborgs. This time a shot with the headless Wolf, Jarick and headless Khoral. Very proud and humbled to have received these gifts. I was also given a airborne badge that had been worn by one of the brigade paratroopers in every battle since the invasion of Ukraine. Beret, badge and t-shirt. Wolf is ex-Spetsnaz and the paratroopers are elite soldiers, hence the blue and white stripes. What is left of the Donetsk Airport Terminal. The control tower under attack. Don’t forget, Cold War Redux – Duplicity is now available. Cold War Redux – Deception, out Christmas 2016. It was, and is still, a very complicated situation in Ukraine. So, if some of my information is incorrect, then please flag it to me and I can amend the content. Thank you for reading this latest Post. Military/Intelligence Bulletin 08/2016 – Russian Roulette. Red Alert! Is the upgrading of the Russian Federation’s armed forces and the various International deployments indicating a return to the Cold War of old? So where are the Russian forces currently deployed? Kaliningrad, part of the Western Military District, is strategically placed. With Poland to the south and southwest, Belarus to the southeast and Lithuania to the east, the Kaliningrad Defensive Area plays a key role in countering the US missile defence system in Europe and places Russian forces directly behind the three Baltic countries of Estonia, Latvia and Lithuania. The forces in situ are significant – Voronezh DM early-warning radar, 25th Coastal Missile Regiment, 336th Naval Infantry Brigade, 244th Artillery Brigade, 3rd Aerospace Defence Brigade, 79th Motor Rifle Brigade, 7th Motor Rifle Brigade and the 152nd Missile Brigade. There are also three Aviation Groups (Helicopters, transport aircraft, bombers and fighters) along with naval surface forces. Crimea, a region of Ukraine of its southern coast. 126th Naval Infantry Brigade (formerly Ukrainian forces, but now incorporated into the Russian military), 810th Naval Infantry Brigade, 127th Independent Recce Brigade, 219th Independent EW Regiment, 1096th SAM Regiment, 15th Coastal Missile Brigade, 1 battalion from 11th Anti-ship missile Brigade, 31st Air Defence Division and the 8th Artillery Regiment. They are supported by helicopters from 318th Mixed Aviation Regiment and the 38th Fighter Regiment. For naval forces, the Black Sea Fleet has the 11th ASW Ship Brigade, 41st Missile Boat Brigade, 197th Landing Ship Brigade and the 68th Area Protection Ship Brigade. T-72B3 Main Battle Tanks, BTR-82A, Su-30SM Flanker (FGA), SU27SM Flanker (FGA), SA-20 Gargoyle SAM, K-300P Bastion (SSC-5-Stooge Anti-ship missiles) and 3K60 Bal (SSC-6 Sennight Anti-ship missiles). More forces are believed to be on their way. A country few people are aware of. It is a constant threat to peace in Moldova and has at least 1,500 Russian military deployed there. 2 Motor Rifle battalions with approximately 100 MBTs/AIFVs/APCs. there are also 7 Mi-24 Hind and 8 Mi-8 Hip helicopters. Again, these forces are ideally positioned, particularly if reinforced, to create havoc, supporting any attack on Ukraine. Not forgetting the Russian Arctic Joint Strategic Command, ensuring Russian military presence in polar waters. There are Russian, and Russian backed pro-Russian separatists, forces in Ukraine itself. I will cover those in a later Post. Also Central Asia, Caucasus, Syria and the Black Sea. The Cold War – Redux (Duplicity) KOBO interview London Book Fair 2016. A couple of years ago, I wrote a Cold War trilogy, The Red Effect, The Black Effect and The Blue Effect, portraying what I believe could have happened in the 1980’s, had the Soviets, and the Warsaw Pact, taken the decision to attack West Germany and plunged the world into a third world war. I now ask myself the question, are we heading down that very route now? To answer that, I written the first book in a new Cold War trilogy, or the ‘Cool War’ as it is sometimes referred to. The title is ‘The Cold War – Redux (Duplicity)’. Where does my story start? I felt the only way to find the answer to that was to go to the very melting pot that could turn the Cool War, into a Hot War, the Ukraine. Please watch the KOBO interview conducted at the London Book Fair 2016. 8 minutes in. Embarrassing watching yourself on video! 8 minutes in for Harvey Black. Military/Intelligence Bulletin 07/2016 – Russia plans new divisions to counter NATO. Russia plans to create two additional army divisions to counter what it sees as the NATO threat. By the end of 2016, Russia is planning on creating two new divisions to counter what it perceives as the growing NATO military might on its borders. These new divisions are in addition to the two announced in January. Russian T-72B3. Deliveries to the Russian army started in 2012 and continues today. This type of tank has been seen near the Ukrainian border. One of these newly announced divisions will be created in the Western Military District and the second one in the Southern Military District. The two divisions announced in January will be created in the Central Military District and one in the Western Military District. The ground forces commander-in-chief, Colonel General Oleg Salyukov, stated that these new divisions will formed from existing brigades. Although Russia abandoned the Soviet-era divisional structure as part of their reforms, due in the main to the chronic shortage of manpower, these divisions will revert to that older structure. The divisions will likely consist of 10,000 men in six regiments. The worrying thing about these division types, is that they are designed for mass confrontation, as opposed to the brigades which were created to fight localised wars on Russia’s periphery. The Iron curtain is being drawn across the east west borders yet again. Ukraine’s Motor Sich is developing a number of multirole variants of MI-8MSB-V/W multirole to be employed against the pro-Russian separatist militants. They are aimed at addressing the threats posed by anti-aircraft systems held by the pro-Russian separatists in the contested eastern region of Ukraine. Based on the MI-8T helicopter, the aim of the upgrade is to increase firepower and survivability, with the installation of an Adron SKZ-8V digital armament control system and a range of air-to-surface weapons including the GKKB Luch Baryer-V and Russian made Shturm-V anti-tank missiles, taken from existing MI-24 attack helicopter ordnance. Additional armour will also be provided for the protection of the cockpit and Adron’s Adros ASH-01V infrared suppression systems for its engine exhaust ducts. Version-1 an assault and attack helicopter fitted with a navigation system, electro-optic turret, laser warning receivers, radar, anti-aircraft missiles and grenade launcher pods. Version-2 a patrol and reconnaissance helicopter similar to version 1, although it won’t be armed with anti-tank guided missiles. But, it will have pylon-mounted launchers for small UAVs, unmanned aerial vehicles. All variants will have the new TV3-117VMA-SBM1V engine. They will have greater range and a higher ceiling. Photo MI-8MSB-V/W transport/assault helicopter at the Kiev military equipment expo. Photo from Motor-Sich company.